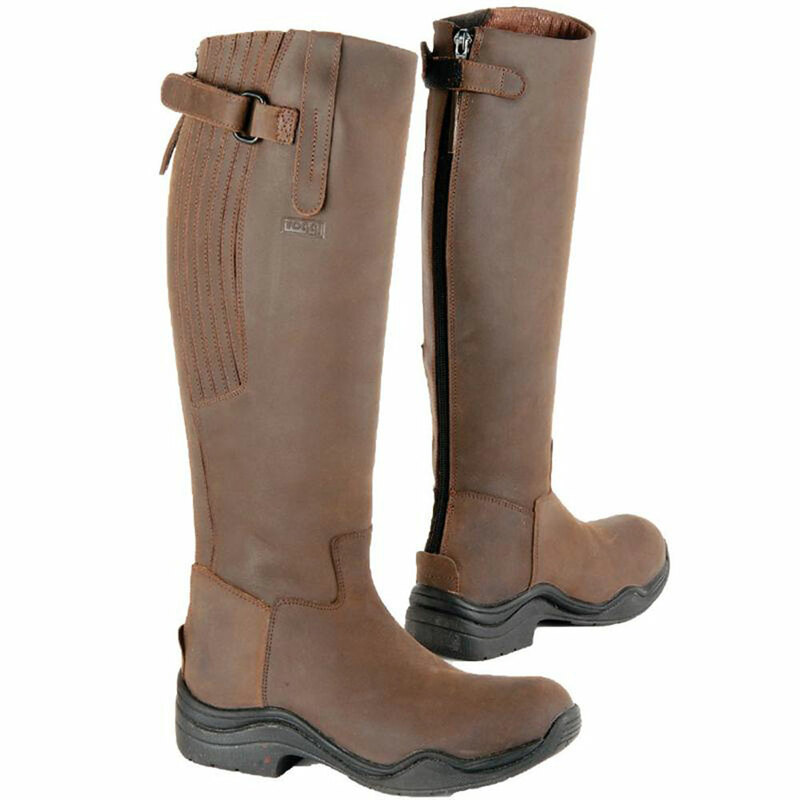 The Toggi Calgary boot is an award winning stylish, superior long nu-buck leather riding boot which is very durable and water resistant. 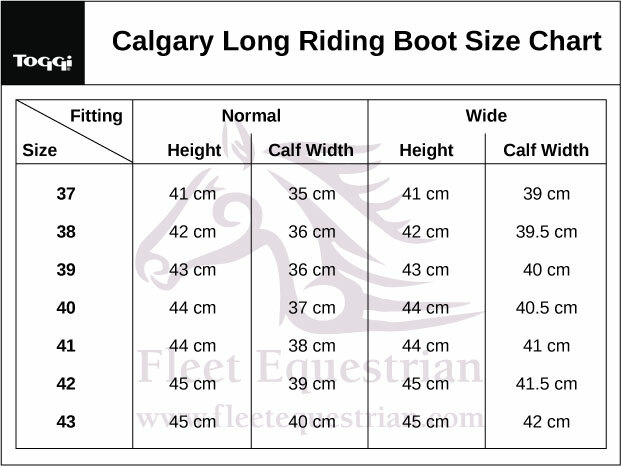 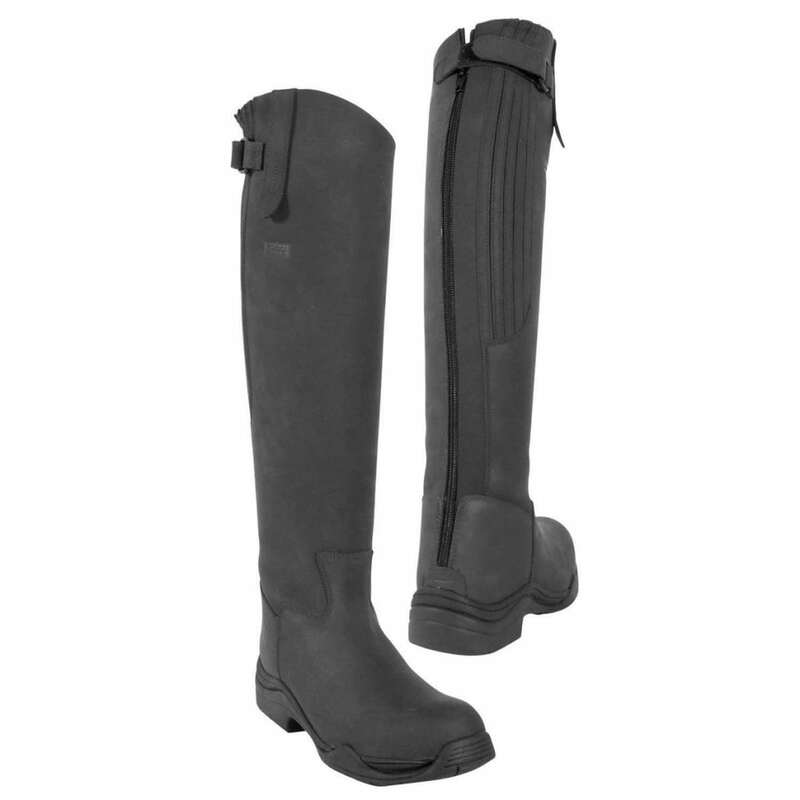 The full length YKK zip and elasticated panels on the back of the boot are for ease with donning and doffing your boot, in addition to ensuring more flexibility in the leg is achieved while riding. 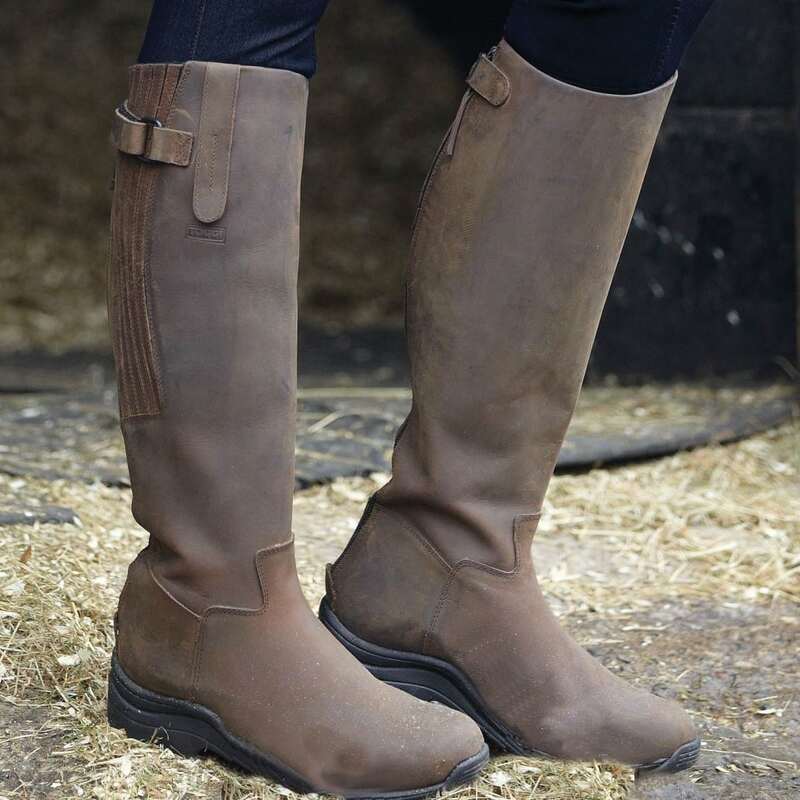 Due to the lightweight, flexible PU sole, no compromise is made on safety while enjoying a day out on your horse or strolling through the countryside.